Pusha T and Virginia Williams got married over the weekend and Twitter already being petty. 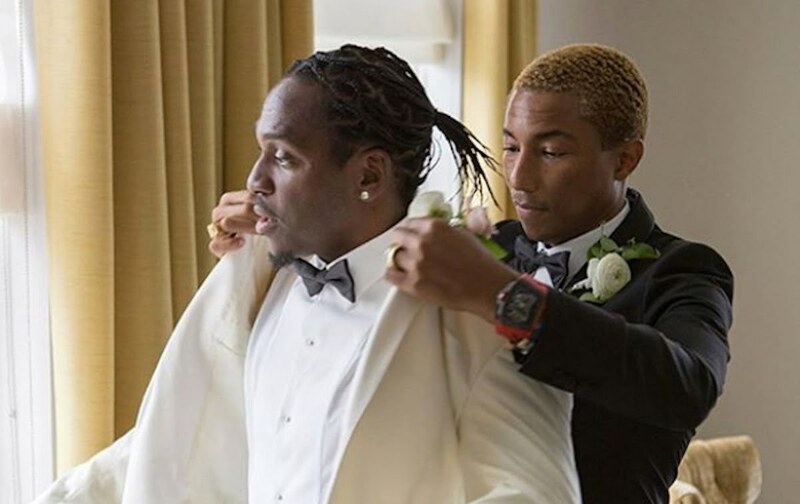 Pusha T is now a married man and a bunch of celebrities were in attendance at his wedding on Saturday at the Cavalier Hotel in Virginia Beach. Kanye West, Kim Kardashian and Pharrell Williams, who was his best man, were all in attendance to witness the couple exchanged vows. Trey Songz, The-Dream, and Fabolous were also spotted in the audience. Drake and Pusha T beef has been dead for weeks now but it’s still very fresh in our minds and clearly Twitter is not ready to let it go. The two diss tracks, “Duppy Freestyle” and “The Story of Adidon,” might bow be getting some more airplay thanks to King Push’s wedding over the weekend. Drizzy famously rap about the G.O.O.D. Music rapper’s wife Virginia Williams on his diss track “Duppy Freestyle.” “I told you keep playin’ with my name / And I’ma let it ring on you like Virginia Williams / I’m too resilient, get out your feelings,” the Toronto emcee raps. Pusha T gettin married is a diss reply to Drake, no? Lmao, y’all were talking bout Pusha made Drake change his album….. Drake made Pusha T marry his girl ???? Pusha T had to start beef with Drake to pay for the wedding? Pusha T defeated Drake & got married that king is flourishing… #Salute. ?